The concept of enhancing what you already have is always appealing. So we tried CoverGirl’s Exact Eyelights Eye-Brightening Mascara. This line of mascara contains light reflecting metallics and a subtle tint that brings out blue, brown, hazel, and green eyes. Although we didn’t see a drastic difference as far as eye color enhancement, we really liked the formula. 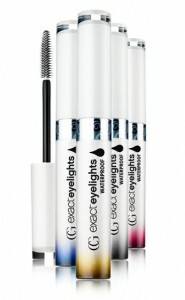 This mascara has a good balance between lengthening and thickening, and the brush left no clumps behind as promised. Lip gloss never tasted so good! We tried Covergirl Wetslicks Fruit Spritzer in Plum Splash and liked the subtle fruit flavor. 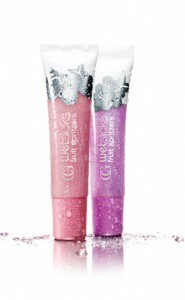 This gloss is fun but effective; it contains botanicals that improve lip condition over time.